Canopy-litter comparisons suggest that the relatively linear structure of tree crowns shapes the behavior and ecology of arboreal ants (see Yanoviak & Kaspari 2000). Currently, we are exploring how different components of the forest canopy (epiphytes, lianas) influence local ant diversity (e.g., Yanoviak et al 2012 and Yanoviak & Schnitzer 2013). Lianas are particularly important elements of lowland tropical forests and are increasing in abundance due to a variety of factors, including climatic change. 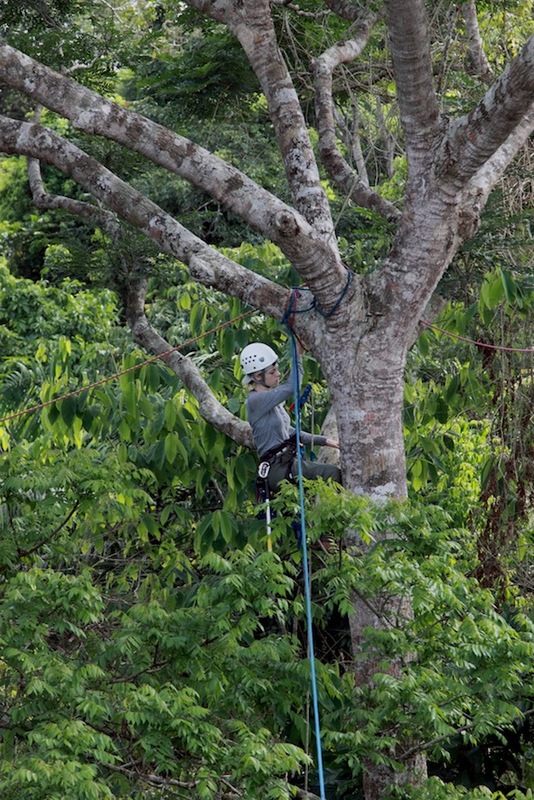 In collaboration with Dr. Stefan Schnitzer, we are measuring the effects of a large scale liana removal project in Panama on canopy ant community structure. 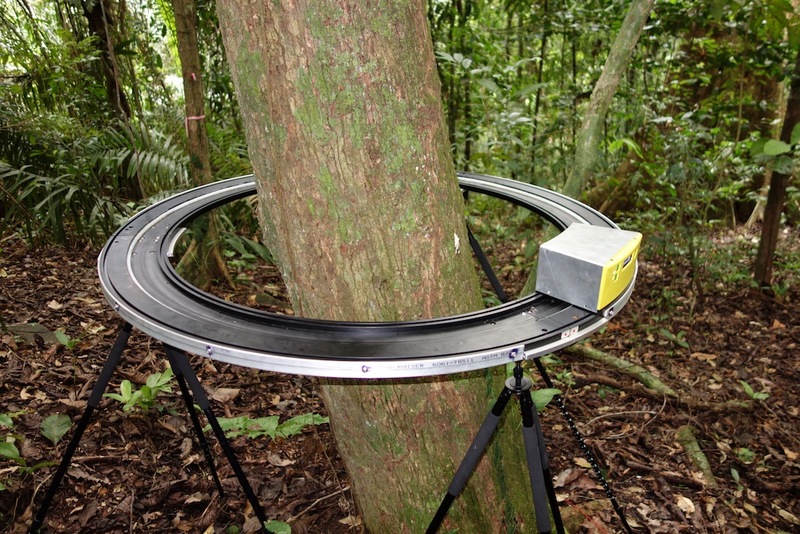 Specifically, we are comparing local canopy ant species richness on liana removal and control plots, and using resource addition experiments (e.g., ropes for connectivity, wood blocks for nest sites, and potted lianas for food) to reveal the mechanisms by which lianas are ecologically associated with ants. Dana Frederick connects ropes for the connectivity addition experiment. 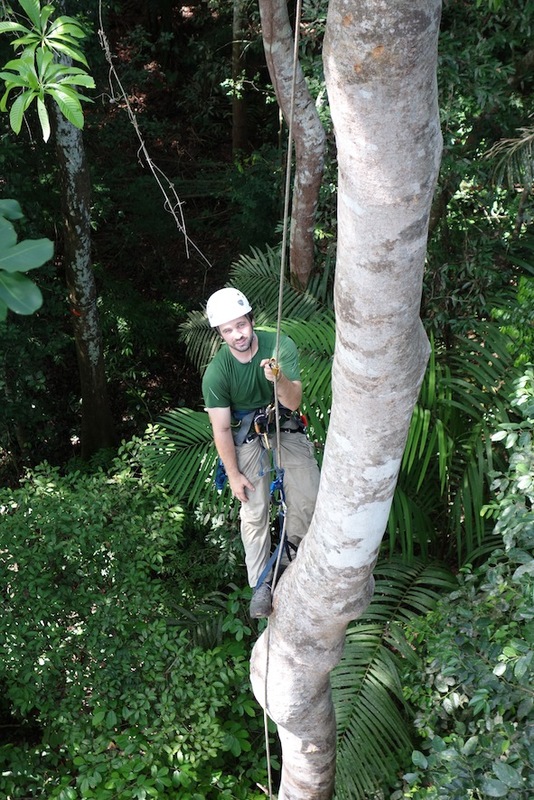 Max Adams conducts canopy ant surveys on liana removal plots. 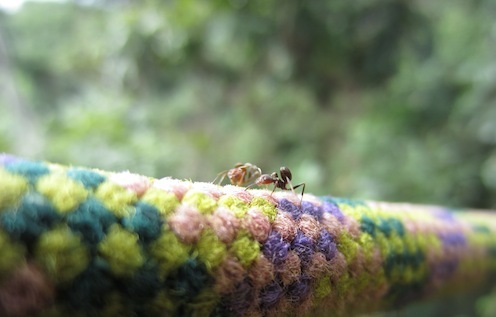 Connectivity is an important resource for polydomous ants like Azteca, as well as spiders, lizards, and other cursorial taxa. In addition to the canopy ant surveys and associated experiments, we are exploring how the quality of linear pathways affects the foraging behaviors of canopy ants (Clay et al. 2010, Yanoviak et al. 2012). In collaboration with Dr. Delphis Levia and Dr. John Van Stan, we are quantifying stem roughness in the field using the latest laser scanning technology. Undergraduate researchers are determining how stem characteristics affect ant running speed in the lab, and ongoing research by Dr. Alyssa Stark focuses on the biomechanical interactions between ants and stem substrates. The ultimate goal of this work is to link behavioral mechanisms with community patterns we observe in the field. Laser scanning is used to quantify the roughness (i.e., microrelief) of tree and vine surfaces. 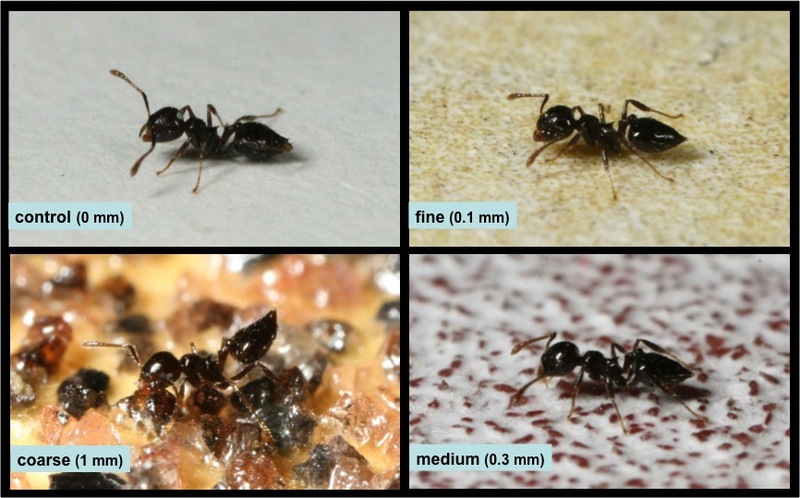 Lab experiments measure the effects of different substrates on ant foraging behavior. This research is supported by grants from the National Science Foundation.